I've been given a task to (re? )enable push notification for the company iOS app and don't know where to begin. I learned that provisioning profile contains information on which app services are enabled, so I logged into the apple developer center and got to the Certificates,Identifiers & Profiles page, but saw that Development iOS Provisioning Profile was already enabled with Push Notification. However in the App IDs section, it shows Push Notification as configurable with a yellow dot. Does this mean that the push notification is no longer working? If that is the case, would regenerating the push notification certificate fix it? or would I have to create a new provisioning profile as well? I meet the same problem. I had it token care of! 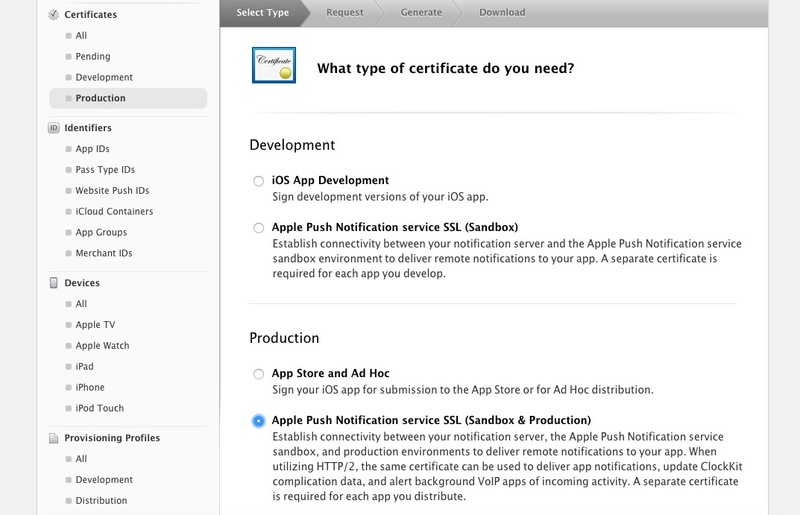 Apple Push Notification service SSL (Sandbox & Production). Push certificate had been expired so it required creating a new push certificate. This invalidated provisioning profile with associated app id, so I had to re-generate the provisioning profile as well. Not the answer you're looking for? Browse other questions tagged ios apple-push-notifications ssl-certificate provisioning-profile or ask your own question.